There are numerous sayings that reflect the importance of preventing a problem rather than trying to solve a problem. When thinking about securing a business, prevention has to be the ultimate goal. Once a security breach has occurred, the damage has been done, and the costs could be significant, both in terms of time, recuperation, and money. Aardvark designs, installs, and implements security solutions for businesses, whether those businesses are banks, corporations, or stores. Aardvark can grow with companies, so as a business infrastructure grows, so too can the surveillance reach that Aardvark provides. A mom and pop shop can feel as secure as a Fortune 500 company. There are many ways to keep your business safe. Access control systems, video surveillance, closed circuit television and cameras can prevent theft or vandalism simply by being visible. These threat prevention methods also limit access to your premises and track intrusions, thereby protecting your people and business. So, what type of security system is best suited for your needs and budget? Here are some brief examples of how security needs to be customized based on the specific type of business involved. Whether you are a mall retailer or a convenience store, you need certain security provisions. We recommend every retailer, no matter the type, have surveillance cameras and CCTV monitoring to prevent theft, help identify thieves and protect employees and customers. Motion detectors and door sensors are important to install for surveillance after hours. Confidential and classified information must be kept secure and people working with this type of information often need security clearance. The buildings in which government affairs take place must be kept safe. Surveillance cameras, motion detectors, access controls and door or window alarms are important to keep information and employees safe. Unfortunately, schools and educational institutions have become a major target for crime and violence, bullying included. There are security and surveillance solutions that can help protect our teachers and students from threats. Students are less likely to misbehave if they are aware surveillance cameras are monitoring their actions. Access restrictions can keep threatening people out of the building. Protecting building occupants is important. Employees work better when they feel secure in their surroundings. Key fob or access card methods are a good step to keep unwanted visitors out of the building. Other benefits of access control systems include alerts when a door has been open too long, entry and exit reports based on badge I.D. and the ability to integrate surveillance systems. Regardless of what you manufacture, you have production supplies and final products that need to be protected. There is also proprietary information on the premises: client records, corporate financial statements, product formulations, HR information. Access control systems allow only approved persons to enter the grounds and/or buildings. These products can also limit where certain personnel may go. 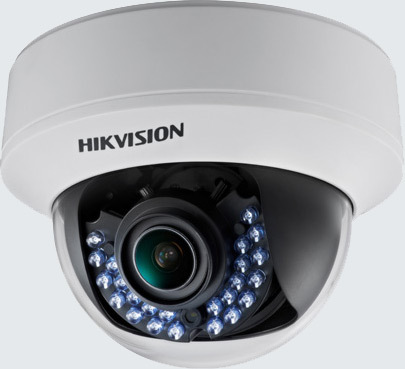 We also recommend surveillance cameras, motion detectors, equipment alarms and door and overhead switches. Aardvark offers all of the equipment and services needed to secure your business, regardless of what type of business you need to protect. Protecting your business does not have to be difficult, but if you do not have the right equipment from the start, you are working against your best interests. Aardvark makes sure that the most high-frequency theft areas are covered by surveillance systems and surveillance footage is available. Every business owner knows that security risks can come from anywhere, even from employees. The proper surveillance equipment can help stave off employee theft and also keep your business secure from outside threats. Reduce shrink and increase cash controls — Cameras mounted toward cash registers will not only prevent employee theft, but it will also reduce inappropriate discounts given by deceiving employees. Discourage theft and intrusion — The simple presence of a camera or a security sign is sometimes enough to deter theft. When thieves are aware they are being monitored, they are less likely to attempt a robbery. Decrease insurance premiums and liability claims – Businesses who have fulfilled certain surveillance criteria may qualify for discounts. Accident claims and liability suits may also decrease due to the ability to verify fault and circumstance. Increase customer service levels and employee productivity — Let’s face it. When employees are not watched they may slack on the job. Mounting cameras in strategic locations cannot only thwart theft, but encourage employees to improve performance. Closed circuit television units have become the most popular security surveillance technologies available today. They provide live feed access to cameras and most units record the video to a USB drive for easy footage transfer. Did you know you can even access digital footage off-premises with a computer or smartphone? 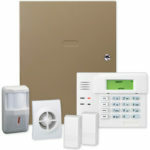 A major part of a comprehensive security solution is an alarm system. 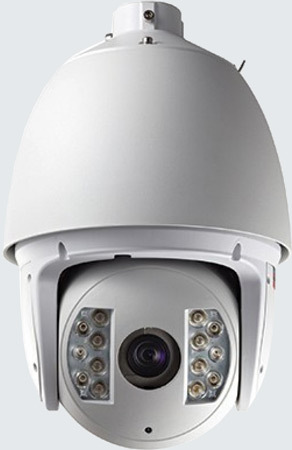 We seamlessly integrate alarm programs with IP video and building access systems. Precise technologies have evolved to monitor doors and windows opening, broken glass and forced entry, panic alarms and mechanical alarms. Aardvark can assist you with door & window sensors, panic alarms, and mechanical alarms. Door and window sensors are easily installed and can alert you immediately of a forced entry. Motion sensors in select areas, such as offices, entry hallways, near safes or registers and even at outside entryways can trigger a silent alarm, contacting the police. We can hide these sensors completely or we can make them visible in all areas to deter predators. Panic alarms are often found in convenience stores, retail stores, banks and reception offices. These hidden alarm buttons are accessible to the employee, but not obvious to visitors. When an employee feels threatened, they push the hidden trigger button and an alarm signal is sent to the police. There are even wireless alarm systems that protect employees from danger inside and outside the business. Mechanical alarms are especially necessary in manufacturing facilities and industrial plants. These alarms alert you of equipment failures, temperature levels, water levels, poisonous gasses and more. When a plant is running 24/7 with machines in opposite ends of the facility, it is difficult to monitor every piece of equipment. These alarms have built-in sensors that will alert employees when levels fall below or rise above the limits you set. Access control systems limit admittance to specific locations throughout a building and/or surrounding grounds. These can be as simple as a keycard to enter the building, or as complex as an integrated magnetic access application merged with IP-based video surveillance and alarm systems. Many of these systems can record who went where when. Smartcards or key fobs can be programmed with individual codes and access allowances. These devices communicate with devices on the doors and gates that read the card. If the individual has been granted clearance, the doors will unlock. If the individual does not have clearance to enter a certain area, the doors will remain locked.